This is a DO-IT-YOUR OWN procedure of flashing/reviving Samsung Corby II. Common phone problems HANG UP and Auto Restart/Reboot during startup. This application would be useful for that case. *****After flashing the phone will reboot. Just wait your phone to boot up in normal mode on its own. 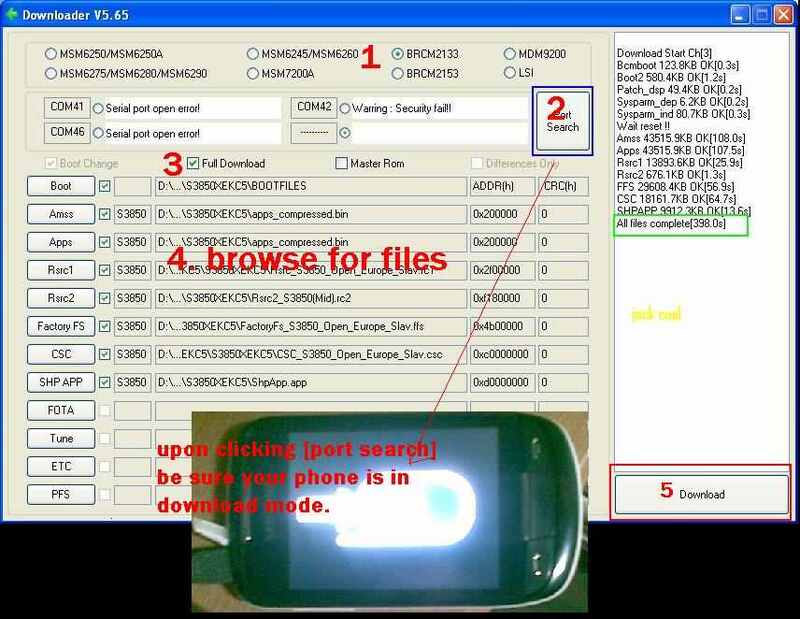 ****All application and firmware enclose are working and tested personally. ***Just click image to view its original size.